The Catalan independence trial is underway, and it will be long and complex. Here is a quick guide on what you need to know about the long-awaited process, which is set to shape the near future of Catalonia's politics. In broad terms, what will be judged is the whole independence bid, which the public prosecutor claims all started in 2012 with a preconceived plan. The sessions will revolve around some major events during that time, including the October 1, 2017 referendum and its organization. This includes the mass protests against the Spanish police raids of some Catalan government buildings aimed at halting the vote on September 20, only 11 days before the referendum. The declaration of independence, passed on October 27, 2017 by the parliament, will also be in the spotlight in the Spanish Supreme Court. All the Catalan government members during the referendum who did not go into exile will go before the judges. 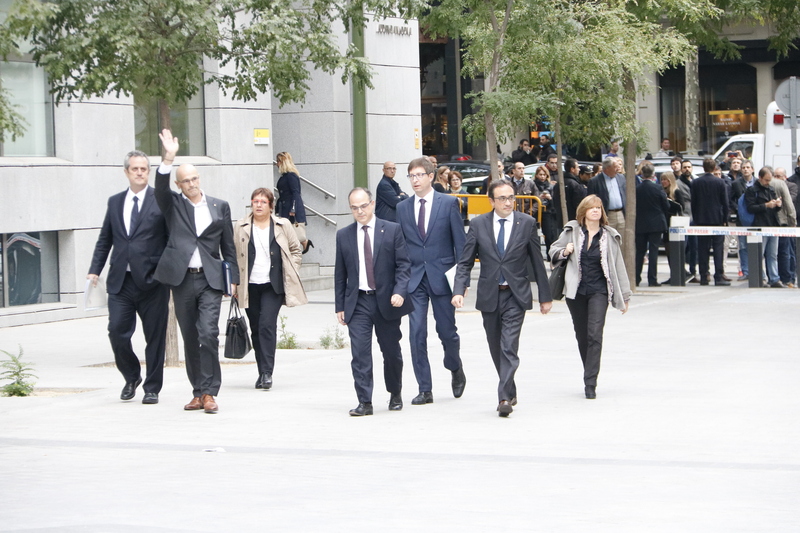 That is former vice president Oriol Junqueras, and former ministers Josep Rull, Jordi Turull, Dolors Bassa, Raül Romeva, Joaquim Forn, Meritxell Borràs, Carles Mundó and Santi Vila. The parliament speaker during that period, Carme Forcadell, will also face trial, as will the two leaders of the main pro-independence civil organizations on September 20, 2017, Jordi Sànchez and Jordi Cuixart. They have all been in pre-trial prison at some point –most of them for a year or more. Some other Catalan officials have also been charged, but are in exile so they will not face court: the former president Carles Puigdemont, former ministers Meritxell Serret, Toni Comín, Clara Ponsatí and Lluís Puig; and former senior MPs Marta Rovira and Anna Gabriel. The public prosecutor is requesting prison sentences of up to 25 years for each of them, with most accused of rebellion and misuse of public funds. The proposed joint prison sentences add up to a total of 177 years. Spain's solicitor general, representing the government in the case, has not charged the leaders with rebellion, but with sedition and misuse of public funds, and demands prison sentences of between 7 and 12 years, totaling 119 years. The far-right Vox party is the private prosecutor in the trial, and it requests prison sentences of up to 74 years –making a total of 702 years behind bars. All the defenses deny all the charges and have called for the leaders to be acquitted. The public prosecutor claims that the defendants orchestrated a "general uprising, leading to acts of force, aggression and violence," and that they were "aware" that violence could erupt. It is also alleged there were "joint" efforts by the government, the parliament, and the main grassroots associations to get international recognition for Catalonia's independence and to "apply pressure so as to force the State to capitulate." The prosecutor also says that organizing the independence bid led to the misuse of public funds to the tune of 3.1 million euros, which was used to carry out the vote. 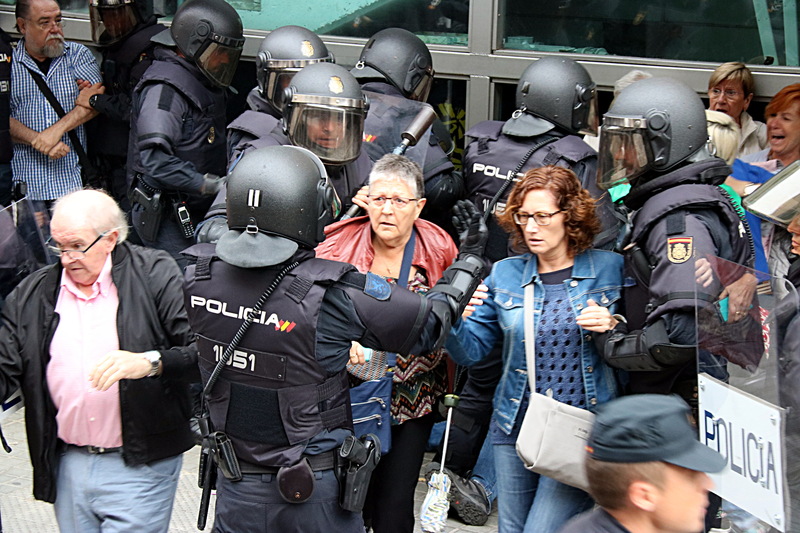 The "intimidatory force represented by mass public demonstrations," and the "use of the Mossos d'Esquadra [Catalan police] as an armed police force" to hold the referendum are also among the prosecution's arguments. The defendants claim "judicial persecution" against them, and that they have suffered a violation of their fundamental rights during the inquiry. They also say that the independence movement has always been peaceful, including the events of September 20, 2017, and the referendum some days later. Indeed, they maintain that the only violence came from the Spanish police on October 1, and deny giving any political orders to the Catalan police, or spending any public money on the vote –they say Spain had complete control of government expenses from July 2017. According to the defendants, holding any debate or vote in parliament cannot be considered a crime, nor is organizing a referendum. The 'special case 20907/2017,' the official name of the trial in the Supreme Court, will have seven judges, 12 prosecuted individuals, three prosecutors (the public one, the solicitor general and Vox) and eight defense teams. The solicitor general requests up to 12 years in jail for each defendant, with the public prosecutor calling for up to 25, and Vox up to 74. When the trial starts, Cuixart and Sànchez will have been in custody for 484 days, while Romeva and Junqueras will have spent 467 days behind bars. Bassa, Forcadell, Rull, Turull and Romeva will have spent some 350 days locked up. Some 600 journalists have been registered to attend the trial in Madrid. They work for 150 media outlets, 50 of which are international. Meanwhile, more than 500 witnesses have been called to testify before the judges.